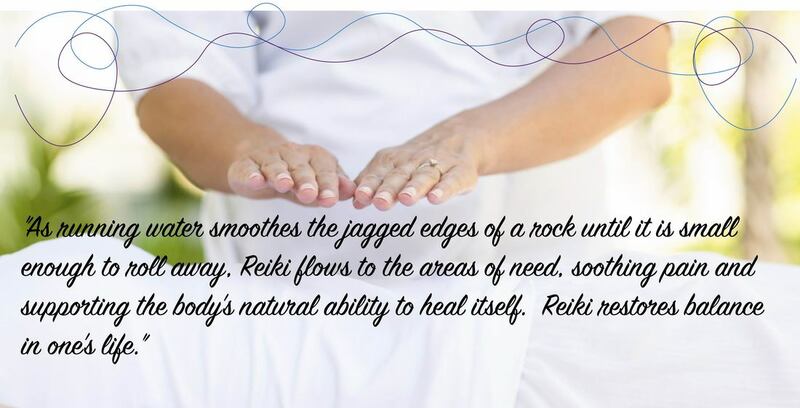 Reiki promotes healing on a physical and emotional level through gentle touch. Reiki utilizes holistic, hands on healing techniques for restoring harmony and providing deep relaxation and a sense of clarity. Reiki is a spiritual healing art that originated in Japan. The word Reiki comes from the Japanese word (Rei) which means "Universal Life" and (Ki) which means "Energy". A Reiki practitioner performs hands on treatment to improve the flow and balance of energy ("Ki") in a beneficial way. Reiki is not affiliated with any religious practice. Clients may report a deep feeling of relaxation after a Reiki session.